cleansing spray, no-rinse cleansing spray, basics cleansing spray, MSC092SCSW04, buy. 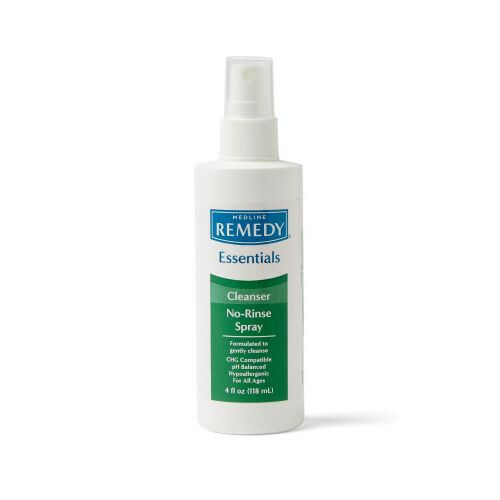 Remedy Basics No-Rinse Cleansing Spray by Medline is an aloe-enhanced spray that provides a gentle clean. The spray is pH-balanced and dye-free, ideal for everyday use. 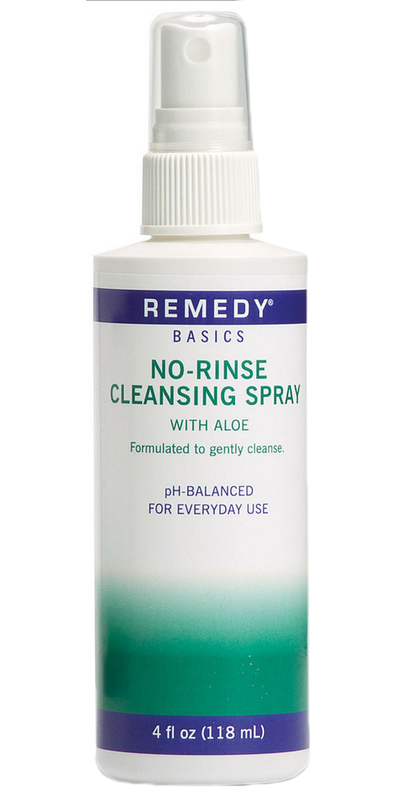 The No-Rinse Spray is effective both for body and incontinence clean-ups. Its head to toe application and no-rinse formula makes cleaning quick and easy; just spray and wipe clean with a washcloth. The Cleansing Spray's enhanced ingredient is aloe, and it has a pleasing, natural, citrus-vanilla scent. 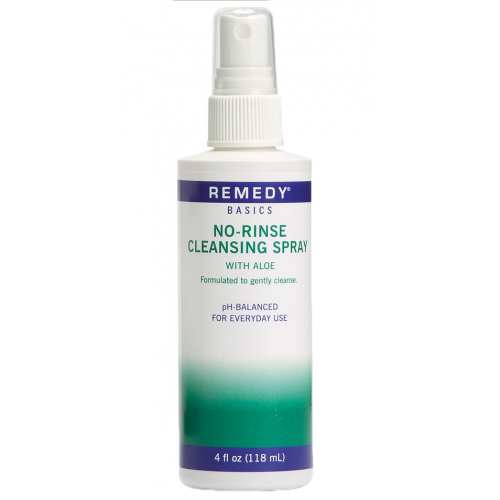 No-Rinse Cleansing Spray is CHG compatible and latex free. Great smelling, no sticky feeling after use, just very clean. Basics No-Rinse Cleansing Spray is gentle to my skin. It is not irritating and does not make my mother itch after I bath her. The aloe is also helpful to her skin.